This movie was predictable, touching, family-friendly movie and well within my expectation. Desperately needed a change after his wife’s death, Benjamin Mee decided he needed a change. With his daughter’s help, they found a perfect house to start a new life. Dylan Mee (Colin Ford) found friendship he desperately needed at the place he least expected from Lily Miska (Elle Fanning). I was absolutely fascinated with his drawings even though they were a bit dark in nature but nonetheless they were really great. Maggie Elizabeth Jones played the adorable Rosie Mee left a memorable impression. The only thing I don’t like about this movie was that writers trying to force a romantic relationship between Matt Damon and Scarlett Johansson’s characters. 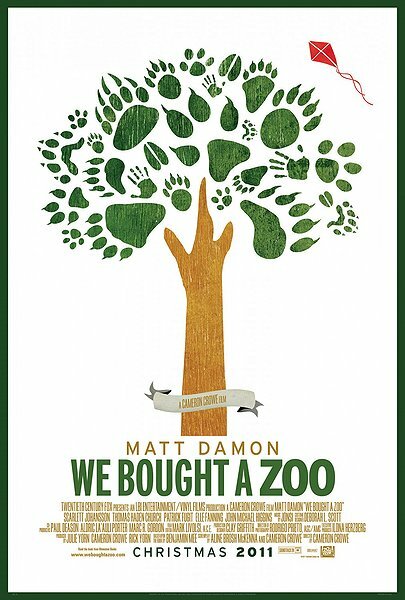 They should have just leave it alone in honor and gratitute of Matt Damon’s late wife who left an enormous amount of money to help with the cash-strapped zoo.